It literally pays to get a mortgage from the right provider. After all, mortgage rates determine just how much you’re going to spend every month for the rest of your term. Picking the right lending company can result in large savings especially for an extended time. 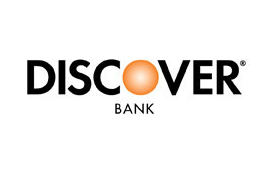 One place to get a good mortgage is at Discover Home Loan. Discover Home Loan is a company that was founded in 1986 and is a financial service brand that has been recognized in the whole of the United States. Their good reputation is known all over the nation because of their customer service and the commitment they provide to their clients. This is then the main reason why people choose to go to them because they know they will have the best services they can possibly get especially in terms of mortgages rates and loans. The latest rates from Discover Home Loan are very competitive and can go a long way in helping people get affordable mortgages. For their conventional fixed rates, they have different terms that are appropriate for any individual or family. For those who will choose the 10 year fixed term, the rate is 2.875% with an annual percentage rate or APR or 3.278%. The 20 year fixed term has a rate of 3.375% with an APR of 3.605%. While the 30 year fixed has an APR of 3.685% and a rate of 3.500%. On the other hand, they also have the 15 year fixed FHA with a rate of 2.625% and an APR of 3.358%. Their 30 year Fixed FHZ has an APR of 3.595% with a rate of 3.125%. Thus, those who want to have a good home should check out Discover Home Loan today while the mortgage rates are at its best.